Most people dive headfirst into smart gadgetry, acquiring various smart technologies at their whims rather than adhering to a rigid smart home plan. However, the no-strategy approach to smart tech is a bad one; it almost guarantees that some devices will perform sub-optimally and that homeowners will inevitably have to put more energy into monitoring and utilizing their smart tools. Fortunately, there is a better way. If you want your home to work for you, you need to take conscious steps toward a cohesive smart strategy. You need to research the best voice command devices, acquire tools that will synchronize successfully and learn how to automate your system, so it will work with minimal effort. Fortunately, this guide can give you the info you need to transform your home — efficiently and effectively — today. Amazon Echo. Also sometimes called “Alexa” — because that name triggers the assistant’s listening and response — the Echo is perhaps the most common and best-known smart assistant. The Echo is also the most broadly supported hub, making it a good first choice. Apple’s Siri. Siri was the first smart assistant, and it remains a popular one for its presence on all Apple products. In fact, Apple’s HomeKit makes it incredibly easy to integrate Siri with other home accessories — but there are relatively few compatible accessories currently available. Next, it’s time to outfit your home with smart tools. Before you start buying any intelligent gadget you find, you should investigate whether the tech is compatible with your chosen assistant and hub. 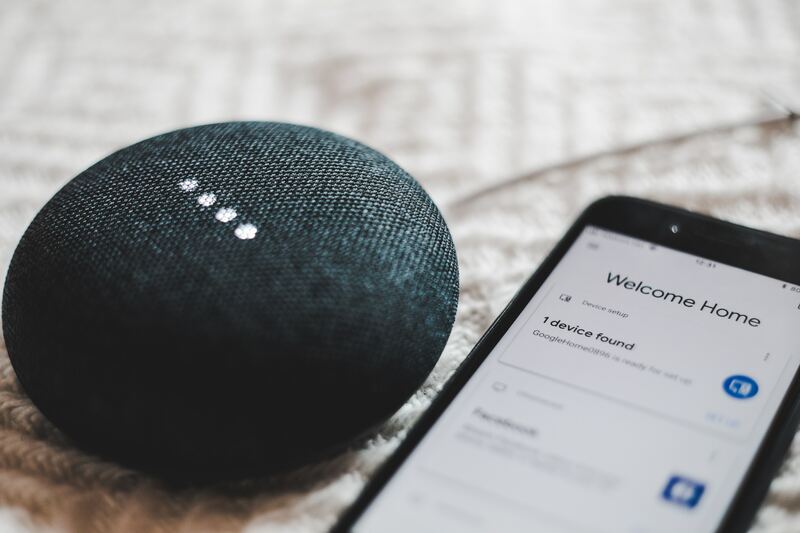 Fortunately, most IoT devices are explicit about what they work with: On the product description or on the packaging, you should find notes like “Works with Alexa” or “Compatible with Google Home.” If you can’t find any indications that a product will connect to your smart home system, you should assume it won’t. Fortunately, there is plenty of smart techs to choose from, so you should be able to find a similar product that does integrate well. Lightbulbs. Smart bulbs screw into your existing lighting like normal, but they are more energy-efficient and convenient. Using your smart hub, you can turn off or dim your lights as necessary, and you don’t even have to get up to flick the switch. Most places that sell normal light bulbs sell smart bulbs. Smart Plugs. If you aren’t interested in buying all-new everything to make your home smart, you can invest in smart plugs. These are adapters that plug into your existing outlets to give you control of any “dumb” connected device through an app. However, it is important to note that you can’t tinker with settings through a smart plug; you can only turn something on or off. Security devices. Security tools like cameras are also good initial investments. You can upgrade to a smart doorbell, which captures pictures or video of visitors before you come to the door; you can also install smart locks, which can be locked or unlocked from afar. Eventually, you might want to upgrade to even more complex tools and systems, like smart thermostats and smart appliances. However, you should take your time and get accustomed to using the tech, first. Purchasing smart devices is easy, and setting up a smart home is hardly more difficult. However, what many new smart homeowners find hardest to get used to is relying on their smart system. For most of your life, you have accomplished tasks yourself, without a digital helper, but if you want to get the most from your smart investments, you need to consciously practice calling on your smart assistant and connected tech. You could haphazardly purchase smart tech to fill your home, or you could take thoughtful steps toward building a cohesive smart system. By doing the latter, you will enjoy your smart functionality for years to come — assuming you take advantage of the considerable power of your smart home.